Today we added a new navigation option for the customizer. The watch is now clickable. 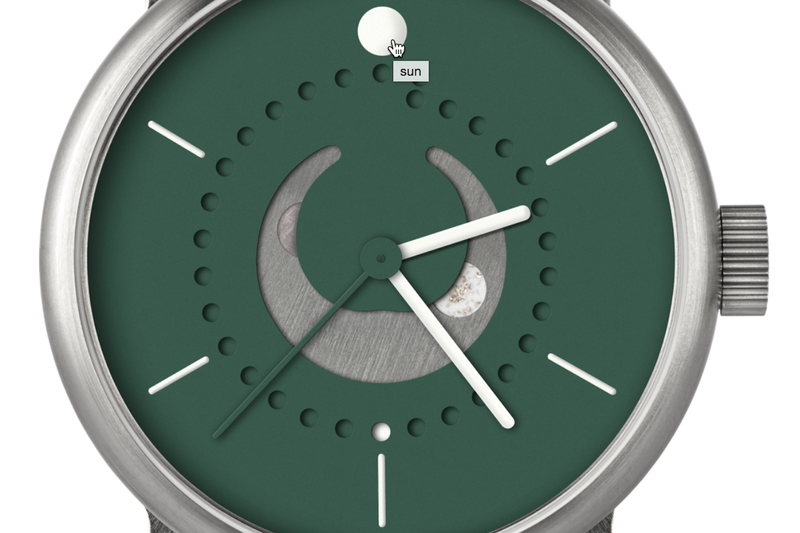 For example, if you click the sun while customizing a moon phase watch, the “sun” panel will automatically open on the right. You can still use the panels on the right to select an option you would like to edit. We have also made it easier to bookmark the watch you are designing, so you can return to it later. You can generate a unique URL for your design by clicking the menu button ( ☰ ) in the upper right corner and selecting “Get URL for this watch”. We welcome your feedback! Please send questions and comments about the customizer directly to ochs und junior’s in-house designer, Cail Pearce.